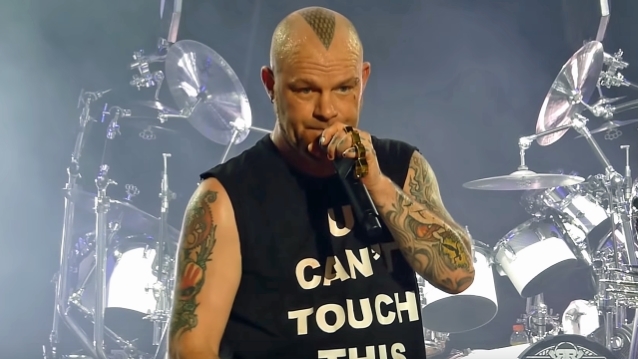 FIVE FINGER DEATH PUNCH frontman Ivan Moody says that he has been sober for a little over half a year. Moody opened up about his struggles with alcohol addiction during a brand new interview with the WEBN radio station. Back in May, Moody told the Green Bay radio station Razor 94.7 that he nearly died due to an alcohol-related seizure and woke up surrounded by EMTs and his daughter holding him while crying. He also admitted that he went to rehab five times before the last time finally stuck. Moody revealed that he was sober but massively hung over during his onstage meltdown in Europe last year, with the band sending him home after that and later welcoming him back on a “probationary” basis after both Phil Labonte from ALL THAT REMAINS and Tommy Vext from BAD WOLVES filled in on a couple of tours. According to Ivan, his latest battles with alcohol abuse heavily inspired the lyrics on FIVE FINGER DEATH PUNCH‘s most recent album, “And Justice For None”. The follow-up to 2015’s “Got Your Six” was originally delivered to Prospect Park in December 2016, but a legal battle with the record company delayed the LP’s arrival.